Naisby started in his home town with Sunderland East End. 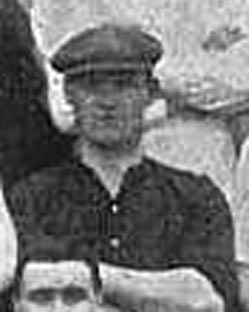 He joined First Division Sunderland in September 1899 and made two League appearances as deputy to Scottish International Ned Doig before returning to local League football with Sunderland West End. He returned to First Division Sunderland in 1902 but did not make the first team before joining Non-League Reading in May 1903 to gain valuable experience. He stayed at Elm Park for two seasons before returning once more to First Division Sunderland in May 1905. He made thirty-five appearances in the League and four in F.A. Cup for the Roker Park club before he was transferred to Second Division Leeds City in October 1907. In his two seasons at Elland Road he was in competition with Harry Bromage for the goalkeeper’s jersey and he made sixty-three League and five F.A. Cup appearances before he joined Non-League Luton Town in 1910. His next move was in March 1913 when he returned to the North East with Non-League South Shields, before finishing his career with Darlington. He died in 1927.